Lausanne, Switzerland, February 1, 2016 – The FIVB’s signature annual women’s tournament the FIVB Volleyball World Grand Prix continued its growth around the world by entering into new territories as reported during the FIVB Sports Events Council, which is being held at the FIVB headquarters on Monday and Tuesday. The FIVB Sports Events Council reviewed a successful 2015 edition of the World Grand Prix as the 23rd edition of the tournament last year saw 28 teams featuring 368 players participate across 20 host cities, including new host countries USA, Australia, Bulgaria and Algeria. 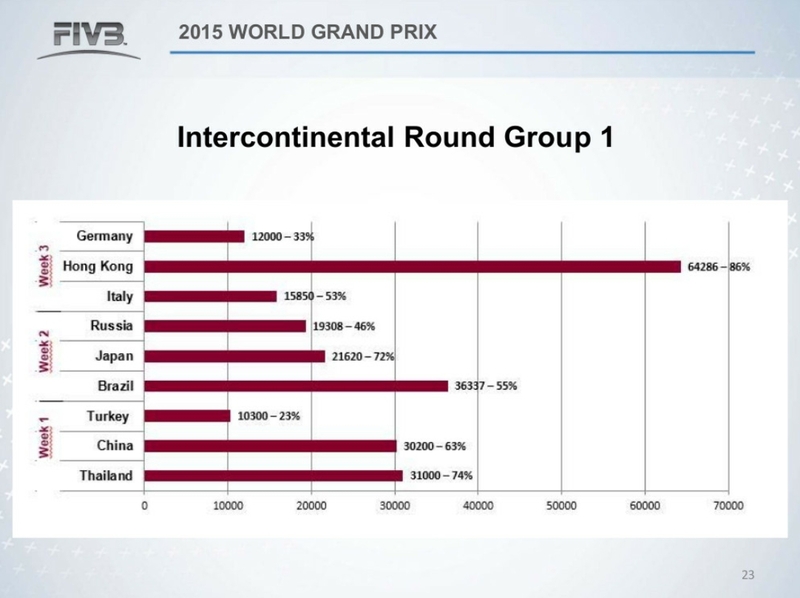 While the World Grand Prix entered new territories, spectator numbers overall were slightly down from 2014 however they were still second best in the history of the tournament. The 379,619 spectators over 125 matches at an average of 3,037 were slightly down on the 399,964 total from 2014. Like the World League, the World Grand Prix saw the FIVB Challenge System used for all Group 1 matches while Hawkeye used for the Finals in Omaha, USA. Referee headsets and LED advertising were also major achievements having been used in most of the matches. Hong Kong was the standout host city having sold out each of its six matches over three days in July as USA, the Netherlands and Kenya went on to win Group 1, Group 2 and Group 3 respectively.